It’s officially Prom 2019 season! We know how excited you must be to start shopping for your dress and we also know how overwhelmed you might be feeling about finding the perfect one. With a wide variety of styles in-stores and online, from trendy to timeless, we’ve got you covered! We guarantee you’ll find the right one for you, as long as you go in knowing a few key rules! Now, KEEP CALM AND SHOP PROM! Rule number 1: Research what’s trending. Whether or not you want to follow them, knowing what’s trending can be a huge help when you’re out shopping. You’ll have a better idea of what to expect and what you want to look for once you know what’s popular right now. Check out our Prom Trend Reports for more deets! Also see: Seventeen Prom and Teen Vogue ! Rule number 3: Learn what style looks good on your body type! Finding the right prom dress has a lot to do with a sense of style and attitude, but it’s also got a lot to do with shape. You may love a dress for the way it looks on the hanger and hate the way it looks on you. That’s because some hem lines and bodices just don’t work for certain body types. For more on what dresses work for your shape, check out “Chic Party Dresses for Every Shape”! Rule number 4: The Buddy System! Bring along a few trusted friends for honest opinions, but remember it’s you who ultimately wears the dress so don’t let anyone talk you out of something you love and feel comfortable in. 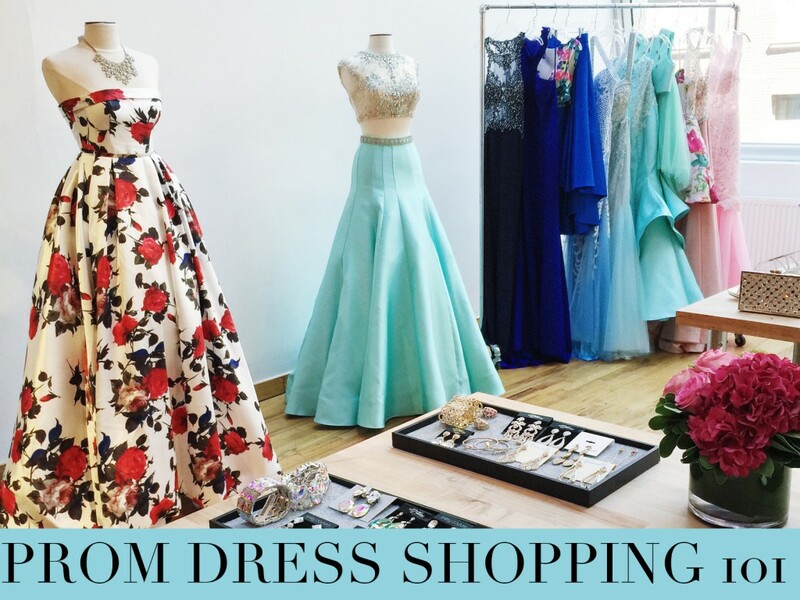 Whether you bring your mom or your best friend or both, they can all play a big part in helping you select the prom dress of your dreams! Rule number 5: Always try dresses you wouldn’t normally go for. Force yourself out of your style comfort zone, you may hate what you try or you may fall in love; either way, it’s fun and necessary to experiment with your fashion sense! If you’re a girl who always goes for sparkle and glitter, why not try a sleek unembellished dress with cool cutouts? And vice versa. Rule number 6: Keep it school appropriate. Last but not least, be sure to keep in mind that Prom is a school funded event; therefore, you should dress respectfully. Don’t freak out, there are tasteful ways of looking drop dead gorgeous for prom. Keep an eye out for dresses with illusion details like geo-patterns and cutouts. You get the appeal of these features without all too much exposure! 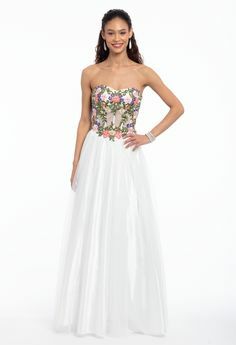 You are now officially ready to begin Prom dress shopping for 2019! Good Luck!